As is well known, Russian technologies are in high demand throughout the world, thanks to their high quality and relatively low cost. This applies both to technologies used in the space, defense and energy sectors, and to those used in everyday life, for example in the railway transport sector. 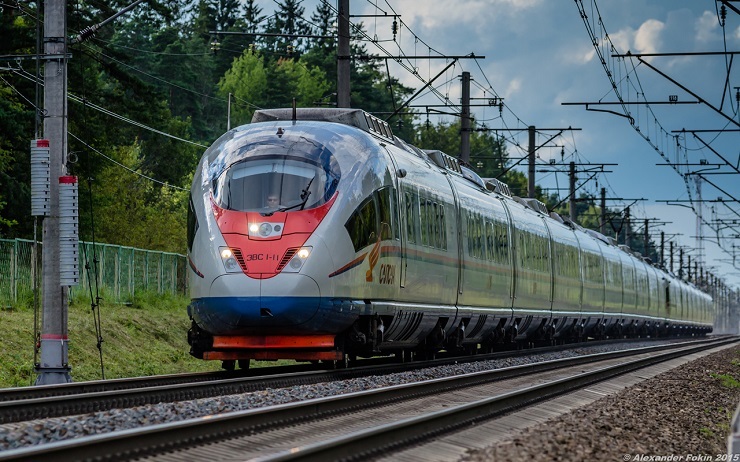 Russian Railways (RZD), the Russian state railway company, is currently working on a wide range of international projects, which are helping many countries around the world to develop their railway systems. One of the most promising of RZD’s partners in Asia is India. Russia and India have, for a long time, worked together intensively on science and technology projects. India is a regular purchaser of Russian armaments and is involved in developing joint military projects with Russia. It has also shown interest in Russian railway technologies. Railway transport is a crucial sector of the Indian economy. Covering more than 66,000 km, India’s railway network is the third most-extensive national railway network in the world. India also ranks fourth in the world by the volume of rail cargo carried, primarily because of its developed coal-mining industry: the coal needs to be transported to businesses all over the country by rail. About 50% of India’s electricity generation capacity depends on that coal, and, consequently, on the smooth operation of the railway network. Approximately 30 million people travel on the country’s railways every day. The Indian government is very interested in developing both its domestic railway network and railway connections with other countries. It should be remembered that in September 2014 the Indian Prime Minister Narendra Modi launched a campaign called Make in India. The goal of this campaign is to develop various sectors of the Indian economy and industry by attracting foreign investment. Since practically all sectors of the Indian economy depend on railway transport, the development, extension and modernization of the railway network is one of the campaign’s key objectives. For example, 953 km of new rail track were laid in 2016-2017. However, to meet the needs of contemporary India, it is important not only to create new railway lines but also to equip them with new technologies. Another important goal is to increase the speed of trains on India’s railways. To achieve this, India is largely relying on Russia’s help. The talks on a possible partnership between Russia and India started in 2015. RZD offered to help India with the creation of high-speed routes and provide it with the latest technology to improve transport safety on the Indian railway network, including a GPS-based monitoring system. Narendra Modi visited Russia in December 2015. During this visit RZD and the Indian Ministry of Railways signed a preliminary agreement on technological cooperation in relation to the railway sector. Among the goals specified in that agreement were the modernization of Indian railways in order to achieve an average train speed of trains to 160- 200 km/hour (currently the speed of trains on the fastest Indian railway line is 160 km/hour) and the introduction of digital and satellite technologies to ensure safe travel. During the BRICS summit held in October 2016, Brazil, Russia, India, China and South Africa agreed to start work on an investment feasibility study for a project to modernize the railway line between the Indian cities of Nagpur and Secunderabad. This section of railway line is 581 km long. The Russian and Indian railway engineers were tasked with increasing the speed of passenger trains along this route to 200 km/hour. The upgrade of the line will involve a wide range of different jobs, including strengthening the underlying ground, relaying the track and replacing the analogue radio connection with a digital one. The upgrade of the Nagpur – Secunderabad railway is to be a trial project: it will be the first time Russian technologies have been used by the Indian railway network. If it is successful, RZD will start working on other sections of India’s railway system. In June 2017, during the Saint Petersburg International Economic Forum, RZD and their Indian partners signed a cooperation agreement on the feasibility study for a new project, which started in September 2017 and is expected to be completed in August 2019. In December 2017 Russian specialists visited India, and inspected the Nagpur – Secunderabad line. They identified a number of problems related to electricity supply, as well as other issues which will need to be rectified during the scheduled works. In October 2018, during a Russia – India business forum in New Delhi, RZD and the Indian Ministry of Railways signed a new document – a preliminary agreement which provides for a significant expansion in cooperation between Russian and Indian railway specialists. Under these plans, specialists from RZD will now form part of the unified control center for multimodal goods transport: RZD will develop management and safety systems for the center. The new agreement also provides for a closer partnership between Russian and Indian universities, in order to train future specialists who will be able to meet the requirements of the railway sector. During that same forum, Alexander Misharin, RZD’s First Deputy Chief Executive Officer for the development of high-speed trains, announced that Russia and India plan to establish a joint rail freight company. The goal of the project will be to make use of Russia’s rail network to achieve a substantial increase in the transport of goods by rail from India to Europe and vice versa. There is now a clear demand for such a company, as it would dovetail with the ongoing expansion of the International North–South Transport Corridor (which unites India, Iran and Russia along a number of different transport routes and may, in the future, be extended to Northern Europe) Cooperation on creating the company is a key priority for both Russia and India, as the North–South Transport Corridor may become one of the vital transport arteries of the Eurasian land mass, The joint Russian-Indian rail company will significantly ease transport along the North–South Transport Corridor in both directions, and increase traffic along the route. It is expected that the company will be set up by the end of 2018. In conclusion we can say that the Russian-Indian railway partnership will not only provide a benefit to both countries but also promote the development of the whole Eurasian region. The creation of a contemporary transport system in a country such as India, with its enormous potential, will have a positive impact on the prosperity of the whole of South Asia. And linking India’s railway network to those of Iran and Russia will create a powerful economic corridor which will unite the north and south of Eurasia and promote the transport and economic integration of all the nations in the Eurasian land mass.